Combine all rub ingredients and spread generously on both sides of the steak. 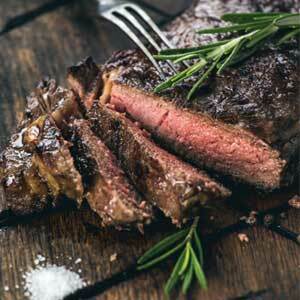 Shake off the excess rub and place your steak on a hot grill that has been oiled. For medium-rare, cook steak for 8 minutes (flipping once) or until the steak has reached an internal temperature of 130°F -135°F degrees. Let steak rest for 5 minutes before slicing.